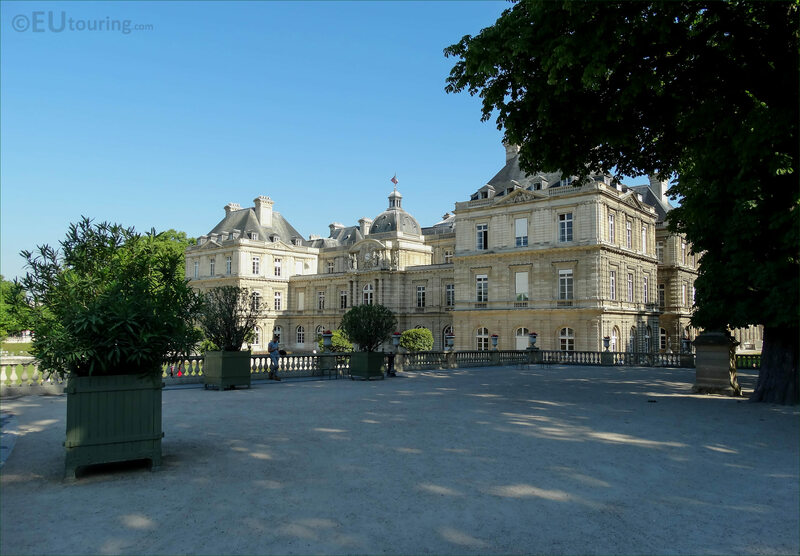 In these high definition photos you can see the beautiful Palais du Luxembourg, which is an historical palace located within the Luxembourg Gardens in the 6th Arrondissement of Paris. 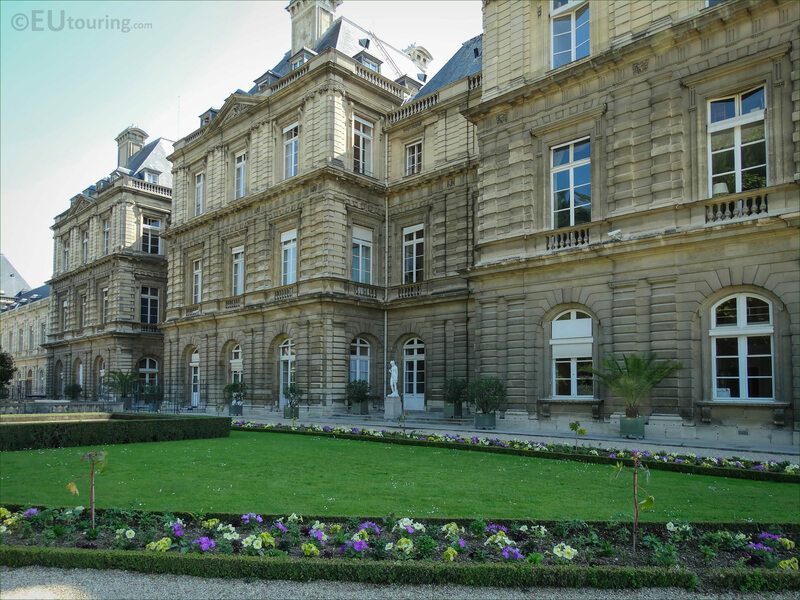 This first HD photo shows the elegant front facade of the Palais du Luxembourg looking out onto the formal part of the gardens, and it was Queen Marie de Medici, who decided to have this palace constructed after her husband King Henri IV was assassinated, and she longer wished to reside at the medieval style Palais du Louvre. 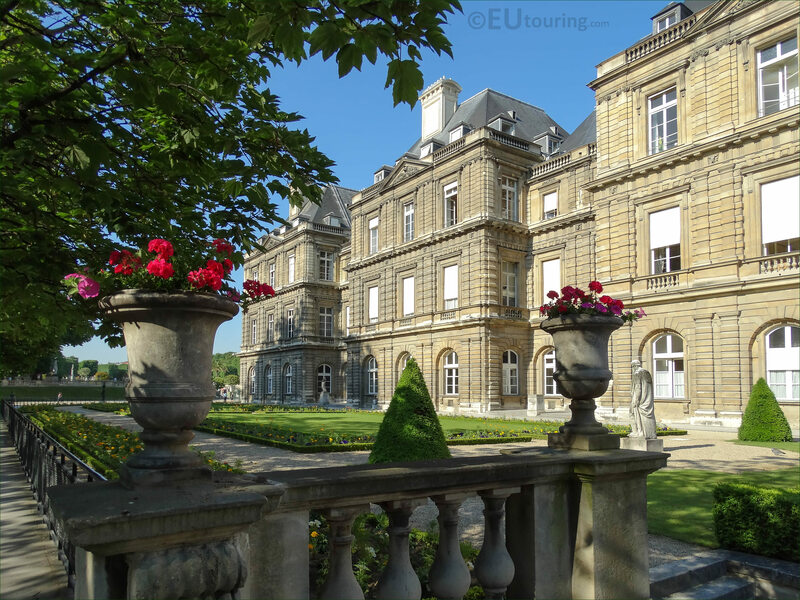 So this next photograph shows the central part of the main facade of the Palais du Luxembourg with its clock and the sculptures and statues by the top pediment, and the site chosen for this new palace already had a mansion house on it that had been owned by Francois du Luxembourg, Duc de Piney, and hence the name of this building. 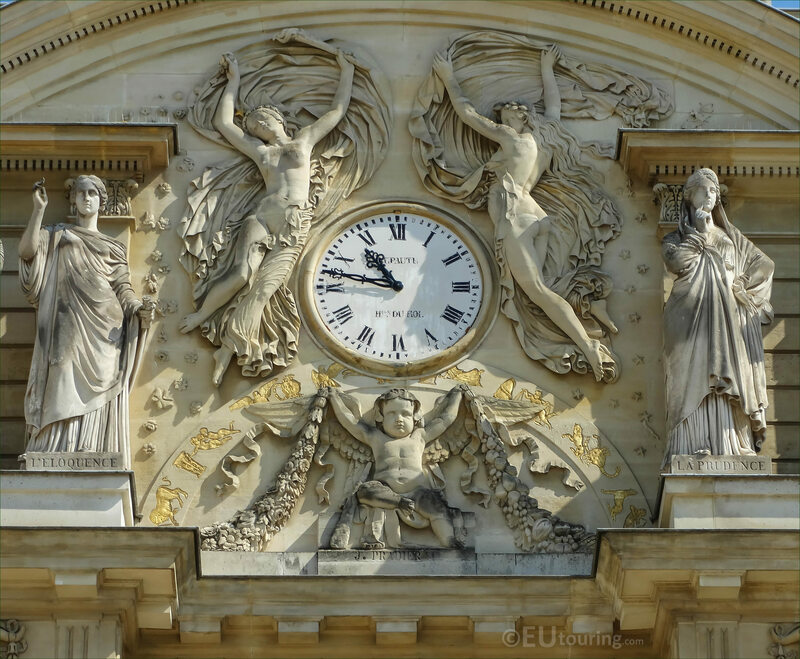 However here you can see a close up of the clock, which was made by Jean Baptiste Lepaute in the 1750s, who was granted lodgings at the Palais du Luxembourg and also within the Galleries of The Louvre, so therefore he was able to use the title of Horloger du Roi, which is what you can see further down on the clock and this translates in English to Clockmaker of the King. 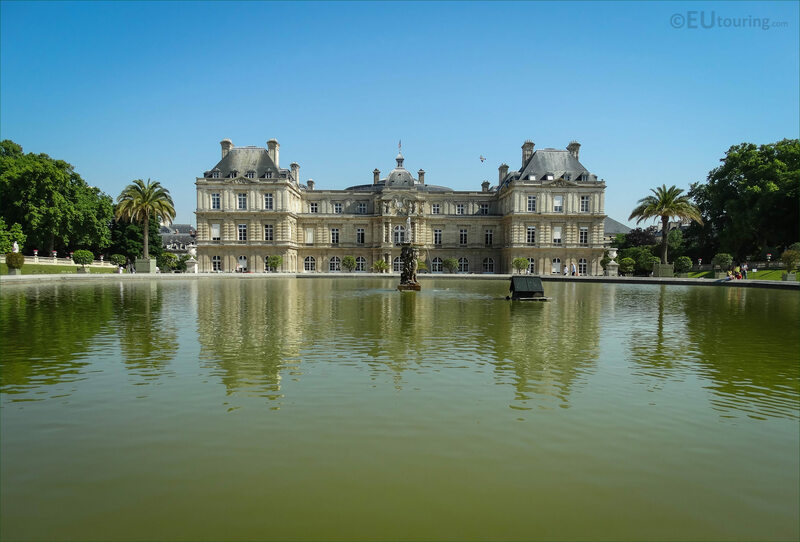 And although many aspects of the architecture have an Italian influence, there was also French inspiration for this sumptuous Luxembourg palace that the Queen nicknamed the Palais Medici, plus it also shows a mix of styles between the Renaissance and Classical periods in architecture. 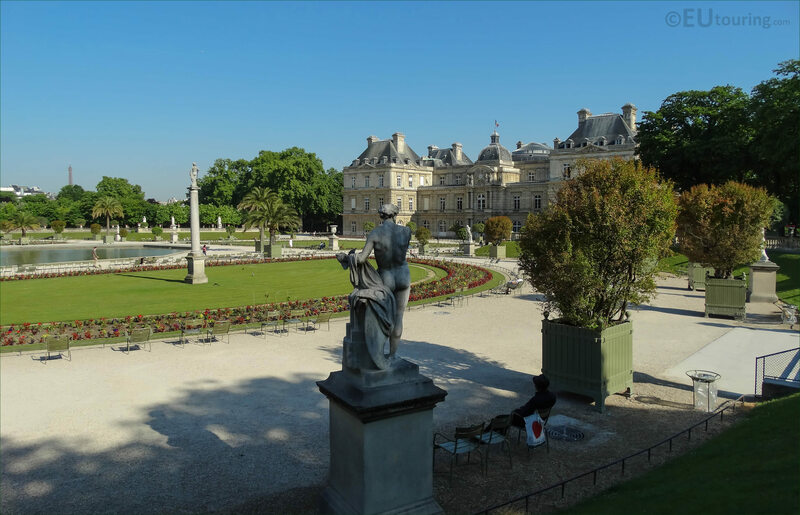 Yet the gardens were also started to be laid out at the same time as the Palais du Luxembourg was being constructed, and called the Jardin du Luxembourg, these were also in a style that would remind Marie de Medici of the Boboli Gardens in Italy that she enjoyed as a child, even though parts of it are in a French style as well. 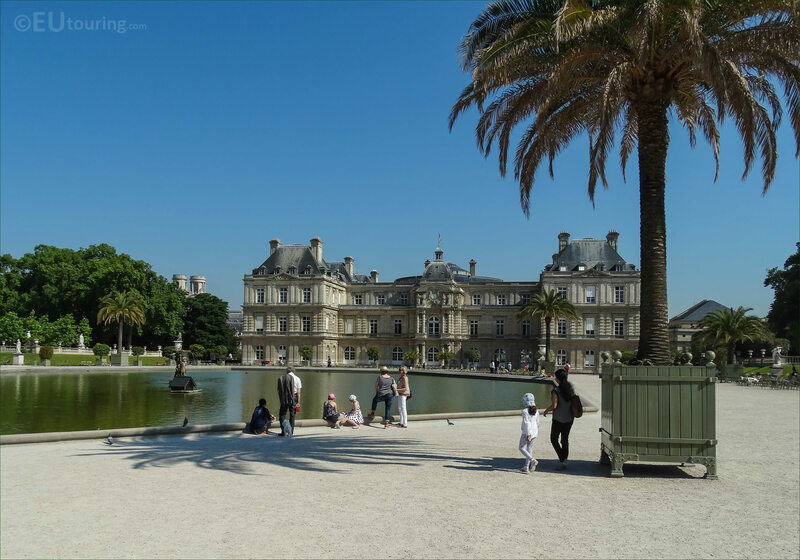 You will find that the Palais du Luxembourg was completed in 1631 and we took this high definition photo from the eastern terrace looking towards the palace, and this area is also one of the original features you can find within the Jardin du Luxembourg, which Marie de Medici had planted with numerous different trees, including elms. 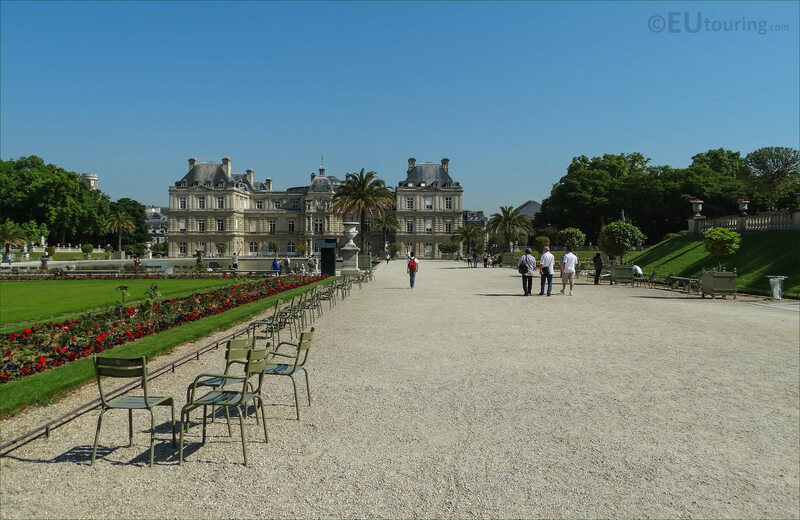 So here you can again see the Palais du Luxembourg in all its glory overlooking the central section of the formal Jardin du Luxembourg, and as well as stone benches, you can see some of the many green chairs and relaxers that are put out within the grounds, so that people can enjoy the surroundings for free. 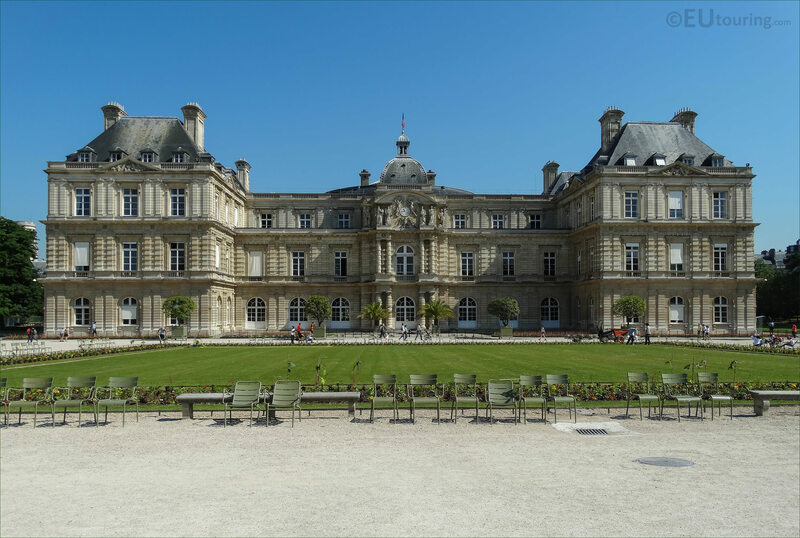 But this image shows the eastern facade of the Luxembourg Palace, which has had many different owners since the time of Marie de Medici and her son, the future King Louis XII, especially after she bequeathed it to her favourite son, the Gaston d'Orleans, yet now it is home to the French Senate. 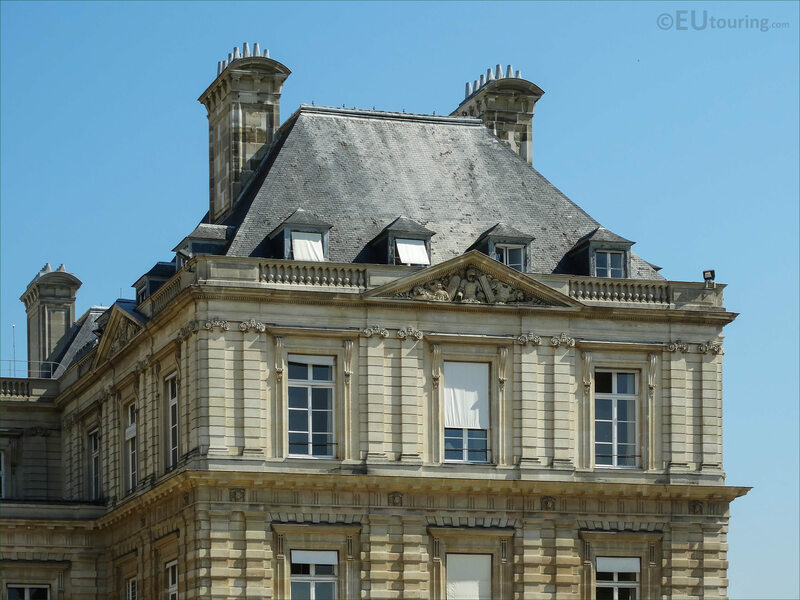 However, here you can see the right hand side wing of the Palais du Luxembourg, or Pavillon as it would be known in French, which is on the main facade of the palace on the eastern side, which shows the dormer windows by the tall traditional style roof and the large chimneys that were a major feature of all large palaces to allow smoke to escape from the enormous fire places that heated the rooms. 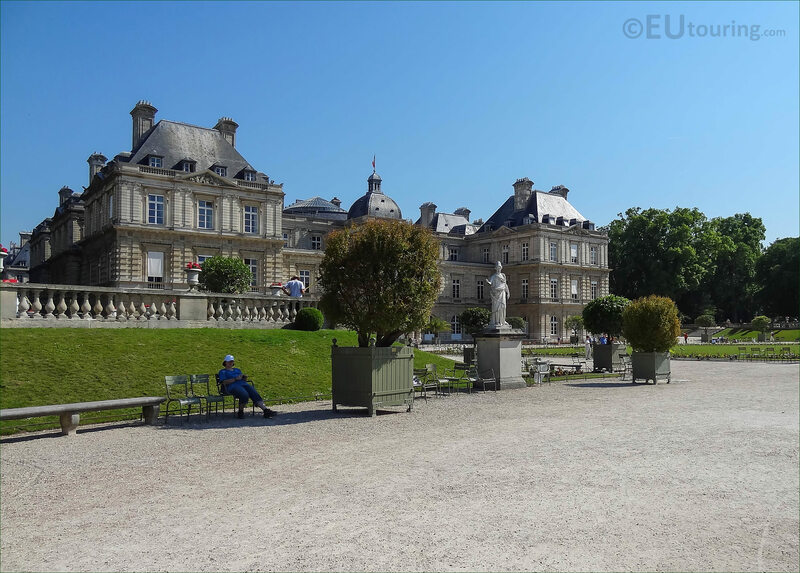 Although, this angle gives you a completely different perspective of the Luxembourg Palace that was taken from the western side of the Jardin du Luxembourg in the formal French style garden with one of the historical statues located in the semi-circular lawn area next to the grand basin. 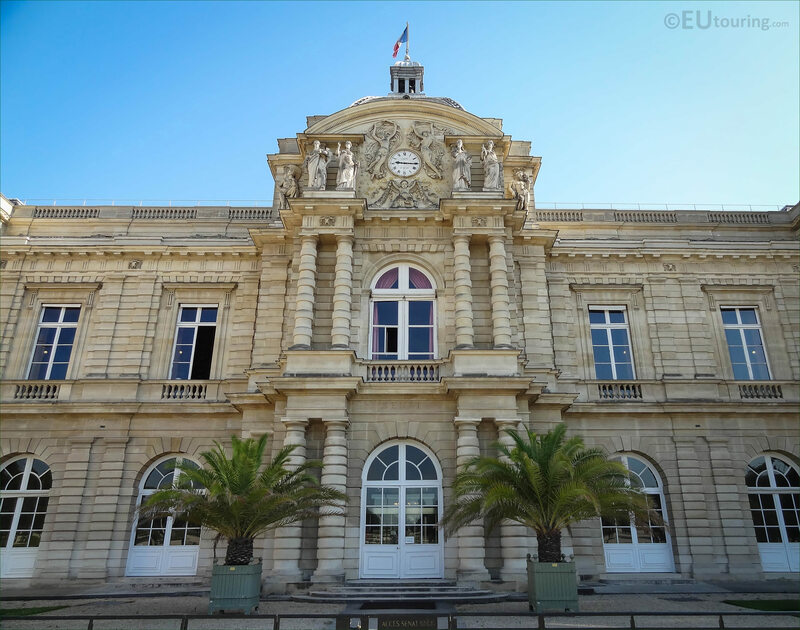 Incredibly though, during the French Revolution the Palais du Luxembourg was turned into a prison for a short time and held people such as Danton, yet in 1795 it was declared a National Palace and under Napoleon Bonaparte it became a governmental building, which is what it still is today, now being home to the French Senate as we mentioned earlier. 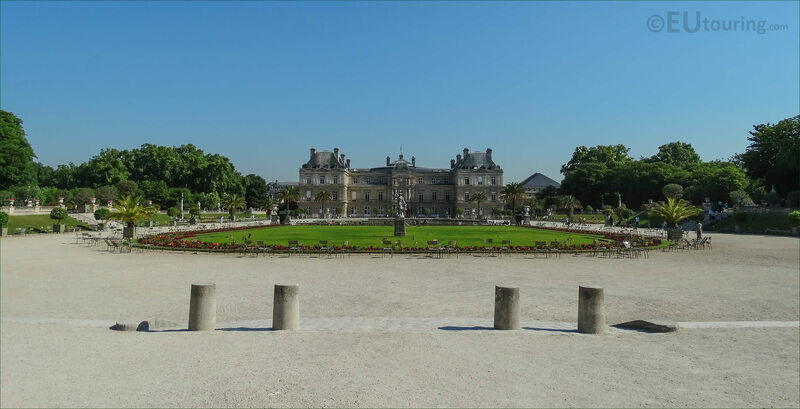 Now this HD photo shows the perspective looking down the Luxembourg gardens towards the Palais du Luxembourg, and this was one of the major concepts in the design for an open area that would look from the palace right through to the Observatoire de Paris, which would be the building containing the Paris Observatory far behind us. 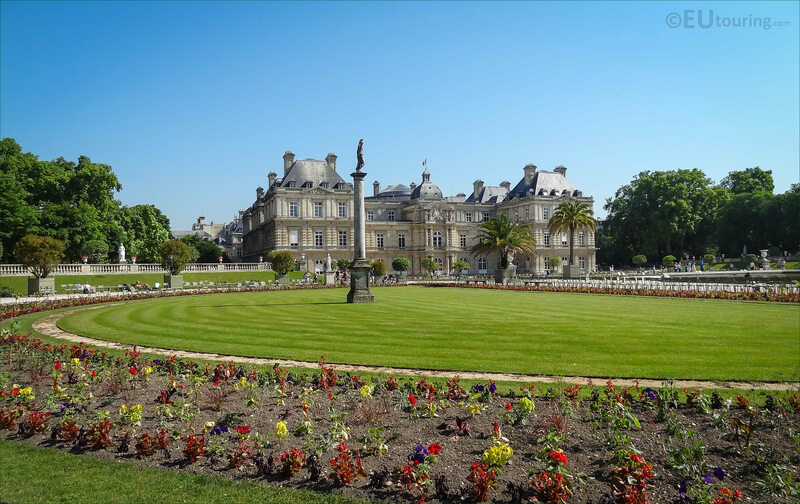 And in this last image you can see western facade of the Palais du Luxembourg, which actually faces into another popular tourist attraction in Paris called the Petit Luxembourg, and these along with many more are all within the Jardin du Luxembourg in the 6th Arrondissement on the left bank of the River Seine in the capital city of France.